For reasons I'll explain later, I'm postponing the journey Into the Vietnamese Kitchen for a few months. 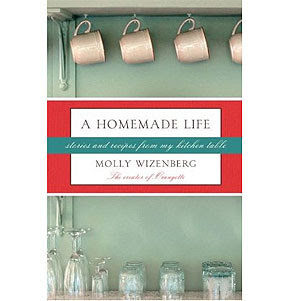 Next up: A Homemade Life by Molly Wizenberg of the elegant blog Orangette. It's a memoir with recipes, part of a supposedly sizzling publishing trend, and I read it over the course of a recent afternoon. 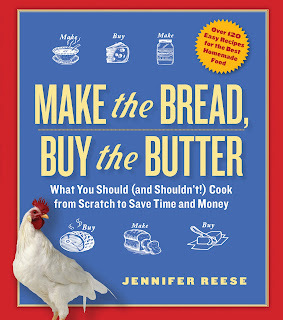 Beautifully written, plus it's packed with enticing recipes, primarily for healthy salads and dainty desserts. There's not a single dish in here that is in any way frightening, gross, or overly ambitious, categories I seem to gravitate towards. My family should be pleased. So, there's that. I also wanted to amend my recent criticism of Laurie Colwin's fiction. I've started reading her early story collection, The Lone Pilgrim, which is everything her novels aren't: tense, sharp, melancholy, ambivalent. Though these tales reflect her perennial, sometimes stifling, obsession with domesticity and a well-laid table, she's coming at it from another direction here -- from the outside looking in -- and hunger, loneliness, and longing are infinitely more interesting, at least in fiction, than cozy satisfaction. Don't see an email, so I'm leaving a comment here: Loved your column in slate and am reading through your archives. I've got another granola recipe you might like, as well as some thoughts on making your own sour cream/ creme fraische from fil mjolk. I too was redirected from Slate to your wonderful blog! Really love the concept, I work in media, is there a way to get in touch with you to further discuss?